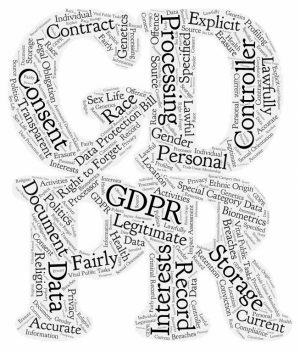 On 25 May 2018, the GDPR came into force, as did the Data Protection Act 2018. The new obligations are therefore in place and impose continuing obligations. Contrary to the widespread scaremongering, the obligations are not hugely different to those imposed by the Data Protection Act 1998 so many organisations will already be mostly compliant. But there are changes, there are new obligations and there is still much uncertainty. If you are worried about your own compliance and would welcome some specialist, individual help, we can offer this with a bespoke independent consultancy service provided by Nick Hanning. Our service begins with an initial on-site information audit and review to assess your current data protection compliance, prepare a report and gap analysis and identify your further requirements. Nick has many years’ experience of working with The At Work Partnership and has gained an intimate knowledge and understanding of occupational health practice. 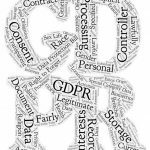 He is also an expert in the GPDR and data protection generally and already provides consultancy and Data Protection Officer services to law firms. Nick is a consultant and personal injury and employment lawyer with Dutton Gregory LLP and he is a past president of the Chartered Institute of Legal Executives. All charges are subject to VAT and reasonable travel expenses where applicable. The initial review is conducted on site and is included in the first day’s consultancy. If additional time is required, it is provided remotely, on an ‘as needed’ time basis. Email: info@atworkpartnership.co.uk Phone: 0345 017 6986 or 0208 344 2328.